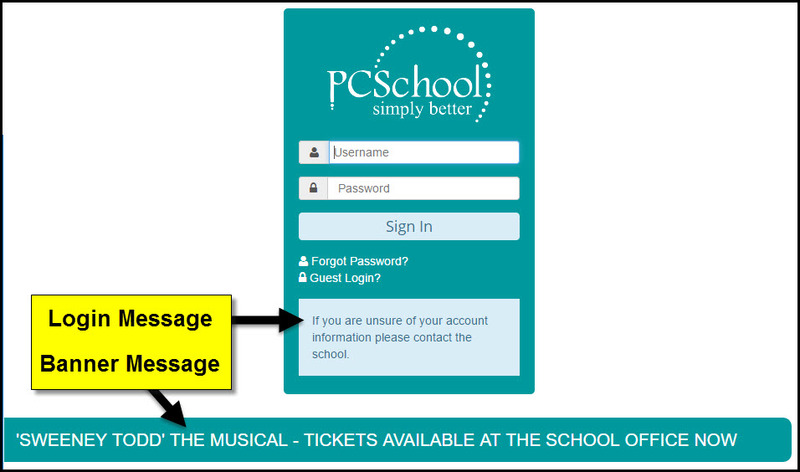 Schools have the ability to customise and brand the look of their PCSchool Spider login page, home page and modules. Branding allows schools to change colours and add school logos/crests and images. This is an excellent way to ensure staff, caregivers and students using the Spider feel they are using a product belonging to the school, and gives a much more professional look. Up to three slideshow images can be added to your login page by PCSchool at a nominal cost. For more details, read the “Enhanced Spider Branding of the Login page” article. Numbers beside each field correspond with a number on the image to the right. 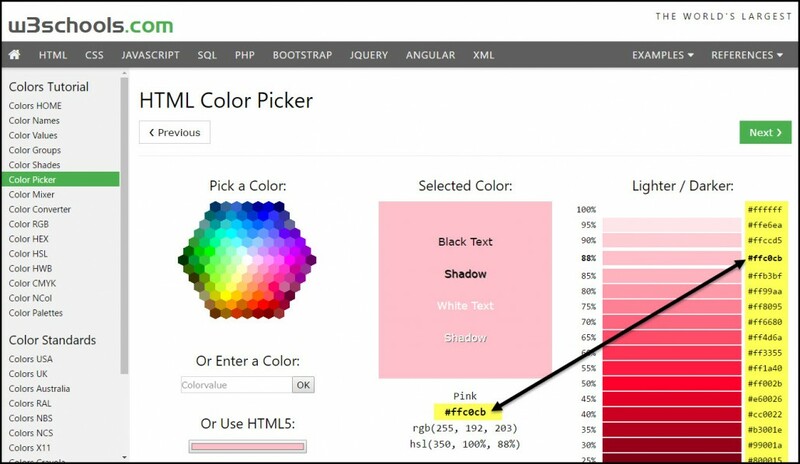 Colour codes are in the HEX format. Type in the HEX colour code or select colours from the drop down option. The school may already have these codes provided by a graphic or web designer in which case they can type the HEX code in. Or you can use the drop down to select a colour from the list. Once changes have been made, scroll to the bottom of the screen to revert, save or exit from this screen. Revert – will restore original PCSchool settings. Save and Apply – will save new settings and apply them so changes will be seen immediately upon refreshing. Save – will save what has been entered, but not apply them. Exit – leave without saving changes or close the screen after saving. The information and banner text on the login page can be edited through the SPIDER-WEB Configuration file. Select from Configuration Group the ‘Configure the SPIDER-WEB info’ file. Edit the SPIDER_LOGIN_MESSAGE text – this is the message to assist people who have trouble logging in. Edit / Add the SPIDER_LOGIN_BANNER text – this may be a reminder of term dates, school events etc. Save the changes. 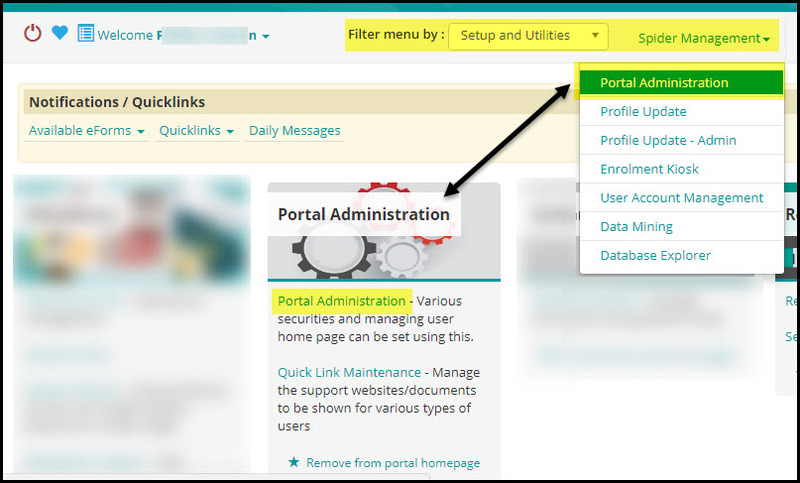 Log out and view the modified / added text on the login page.